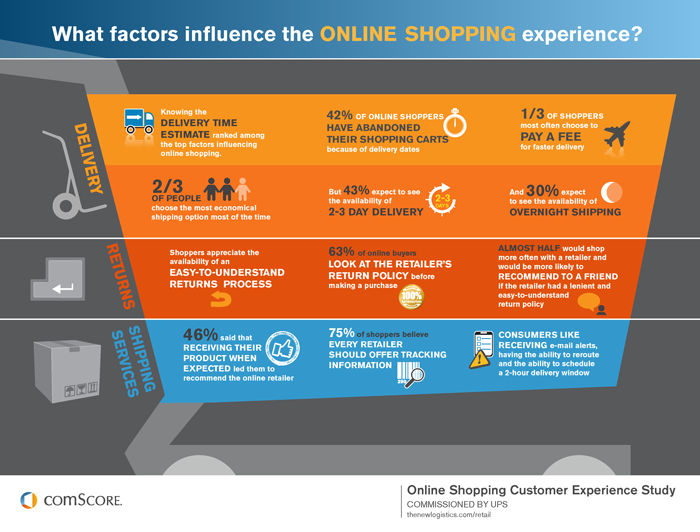 Online Shopping Customer Experience Study - Comscore, Inc.
What are the most/least important aspects of past online shopping experiences? What leads a site user to return to or recommend a site? What is important to consumers during the check-out process? What shipping services and options do consumers find most valuable? How important is tracking and what delivery services are preferred? What are consumers’ returns experiences and what aspects are important in a returns process? How do all of the services offered during and after the online purchasing experience impact the overall impression of that retailer?